The first season of Kamal Haasan’s Bigg Boss Tamil has been kick-started from Sunday, 25 June. 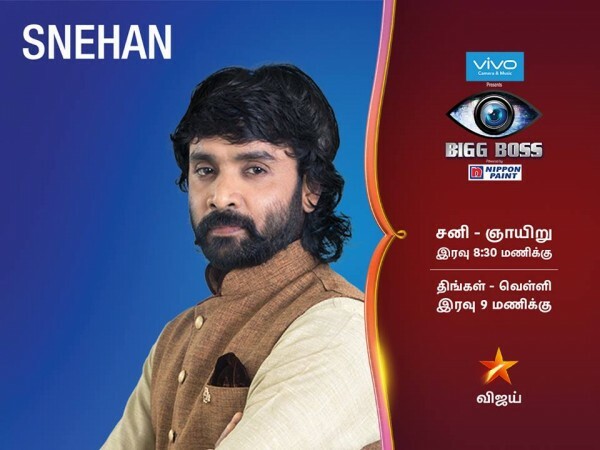 The inaugural episode was a grand event that introduced all the contestants to the audience.The surprising part of the show was that there were not 14 participants, but 15 people, who have entered the house of Bigg Boss Tamil. The inaugural episode took off at 8.30 pm with Kamal Haasan taking the viewers on a small tour of the house. 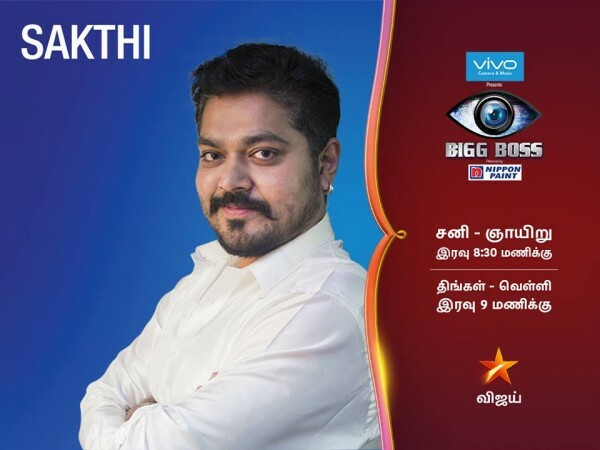 The superstar Kamal Haasan explained all about the house and amenities that 15 contestants will get during their stay in Bigg Boss Tamil. It was followed by the grand entry of the participants one after the other into the house. The curtains for the first show were dropped around 11 pm. “It is a social experiment and I will be the first witness. Spontaneity is the rule of the show and the audience can expect the unexpected,” Kamal Haasan said the media on Friday, June 23. 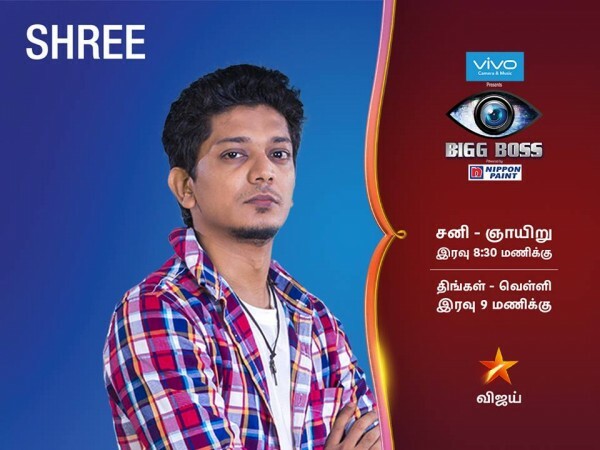 Below, Meet The 15 Contestants who have entered the first season of Bigg Boss Tamil. Shree started his career in Tamil serials. 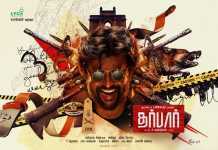 He made his film debut in Balaji Shakthivel’s Vazhakku Enn 18/9. He has worked in Mysskin’s Onaayum Aattukkuttiyum and won appreciation for his performance. His other movies are Vil Ambu and Maanagaram. Vaiyapuri is an actor, who has acted in over 100 movies with many stars that include Rajinikanth, Kamal Haasan, Vijay, Ajith and Jayam Ravi.He made his acting debut with Udan Pirappu and predominantly appears in comedian role. Poet and lyricist Snehan has penned over 2500 songs in his career and acted in two Tamil movies. He has won many awards that include two Tamil Nadu State Awads for his beautiful works. Filmmaker P Vasu’s son Sakthi Vasudevan started his career as a child artiste. He has worked in most of his father’s movie in the recent years and he was last seen in Sivalinga. Raiza is a Delhi-based model. Oviya shot to fame with Kalavani. She has acted in over 20 movies in Malayalam, Tamil and Kannada languages. Currently, she is working on multiple projects. Juliana is the interesting name among the 15 members. She earned a celebrity status after her appearance during Jallikattu protests. Gayathri Raghuram is a choreographer and actor, who made her acting debut in Charlie Chaplin way back in 2002. She also turnd a director with Yaathumaagi Nindral. Ganja Karuppu is a familiar name among Tamil audience. The actor appears in supporting roles and acted in movies like Pithamagan, Sandakozhi, Subramaniapuram, etc. Here comes the biggest name of the lot. Ganesh Venkatraman started his acting career with Hyderabadi Urdu film The Angrez. The actor has appeared in over 20 movies and his popular movies are Unnaipol Oruvan, Thani Oruvan, Ko, etc. 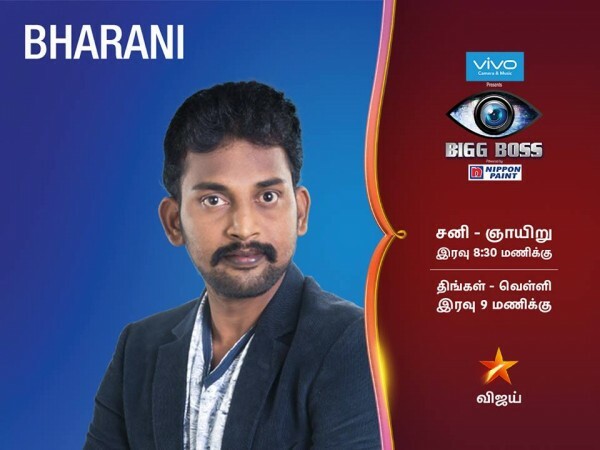 Bharani of Naadodigal fame is the fifth contestant. 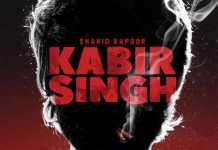 He has done a lot of supporting roles in his career. Anuya Bhagavath, the second contestant of the show. She made her acting debut with Hindi film Mahek. She has worked in movies like Nanban, Naan, etc. Aarathi Ganesh is a comedian actress, who has worked in popular movies like Arul, Kutty, etc. She has appeared on TV shows as well and popular among the Tamil TV audience. 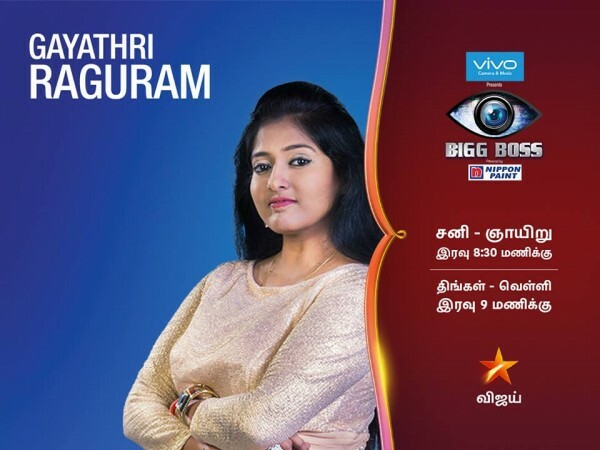 Actress Namitha is the last contestant to enter Bigg Boss Tamil. The voluptuous actress is known for her glamorous roles. He was worked with big names of South India like Ajith, Mohanlal, Ravichandran, Sarath Kumar etc. 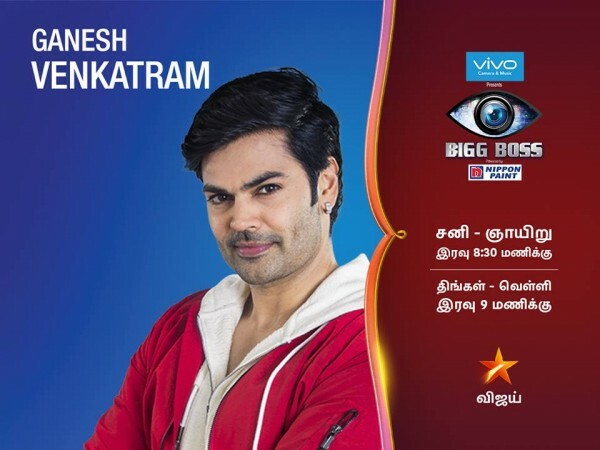 Namitha is the last and fourteenth contestant of the first season of Bigg Boss Tamil. The voluptuous actress is known for her glamorous roles. 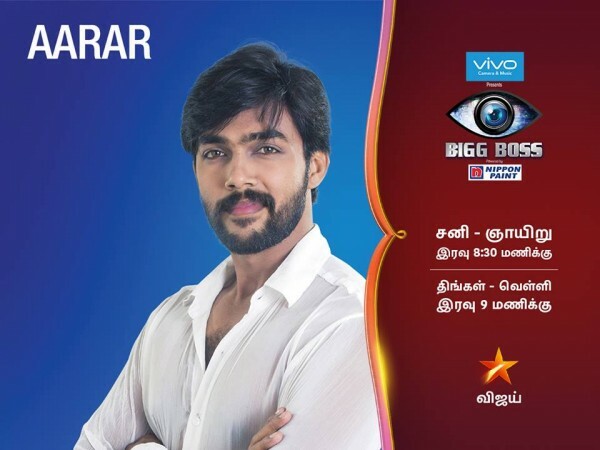 The People from different backgrounds have been handpicked by Star Vijay and they will be locked inside the house for 100 days. The contestants will have to survive in the house completely disconnected from the outside world during their stay in the house and every week one inmate will be shown the door.